Application portfolio management and service optimization are nearly impossible to perform without an honest and thorough understanding of end user sentiment toward IT services and software. Develop data driven insights to help you decide which applications to retire, upgrade, re-train on or maintain, and what IT services need to be addressed to meet the demands of the business. 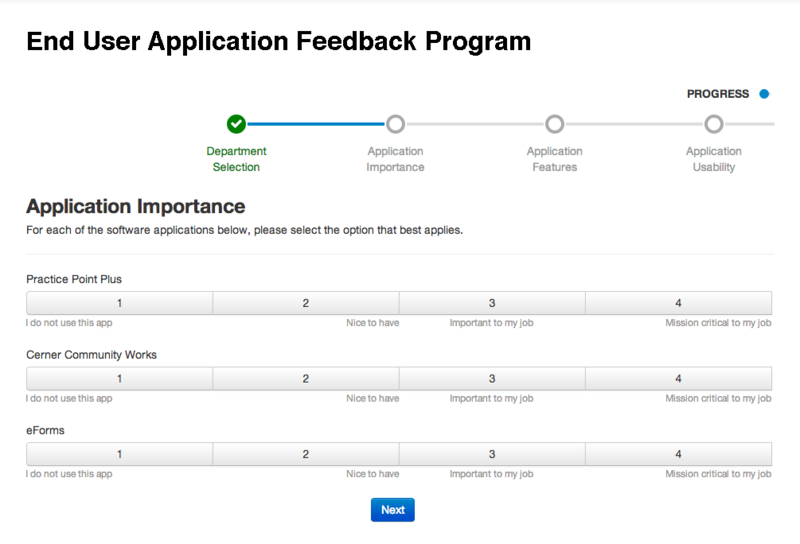 Get targeted, open-ended feedback around each application, organized by department, to simplify problem resolution. Provide customized summary statistics to each department around the importance, usability, features capability and data quality of individual applications, and how they compare against ratings from the rest of the organization.